Cross Russia off your bucket list of "must" journeys of a lifetime with the ultimate private itinerary, built around your preferences. Enjoy all the unmissable sights with local pros, stay at best 5-star central hotels, private transfers, free visas, and plenty of free time to explore on your own. Highlights, including the Kremlin, Red Square, brilliant Peterhof, Catherine's Palace in Pushkin, the Hermitage Museum, as well as 2 cruises and tours by night are all on the program. Following breakfast, you meet your guide and driver at the hotel lobby and embark on a 4-hour panoramic city tour of Moscow. 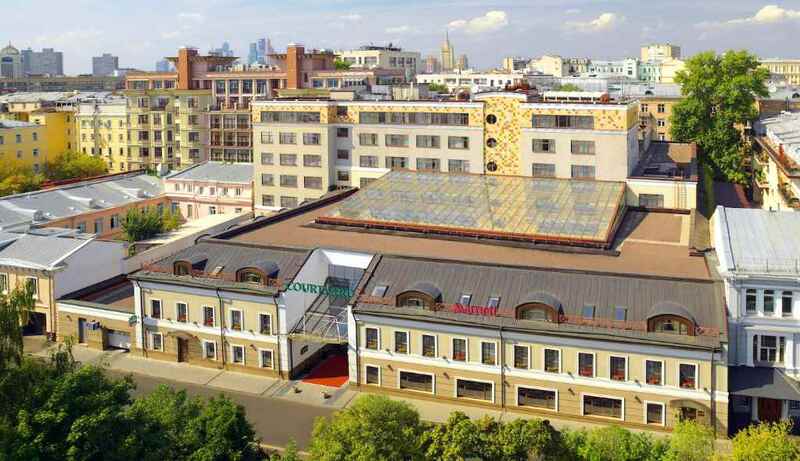 Following breakfast, you meet your guide at the hotel lobby and walk to the nearby subway station to take a short ride on the Moscow Subway and feel the taste of local life. Then visit the world-famous treasure trove of the Russian fine art, the Tretyakov Gallery. In the morning after breakfast, you meet with our representative and are taken on an exclusive cooking class to get the real taste of Russia. After breakfast you meet your guide at the hotel lobby and proceed with your private driver to the Imperial Porcelain Factory. Later this day, you have private guided tour of the Russian Vodka Museum. 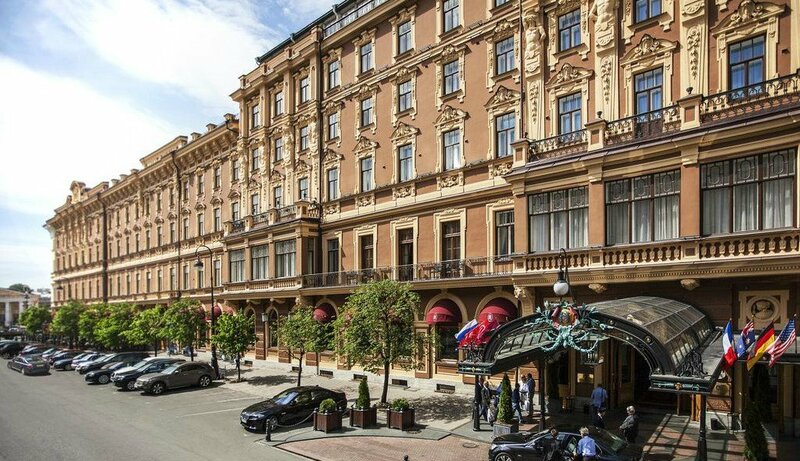 Following breakfast you meet your guide at the hotel lobby and walk to the legendary Hermitage Museum along the Nevsky Prospect and admire the Kazan Cathedral and the Admiralty building along the way. Welcome to the legendary capital of Russia - Moscow! Upon arrival, your private driver transfers you to the hotel for check-in. Today you have a chance to enjoy one of the best city views at Sparrow Hills and see the grand building of Moscow State University, the highest of seven Stalinist skyscrapers of Moscow. 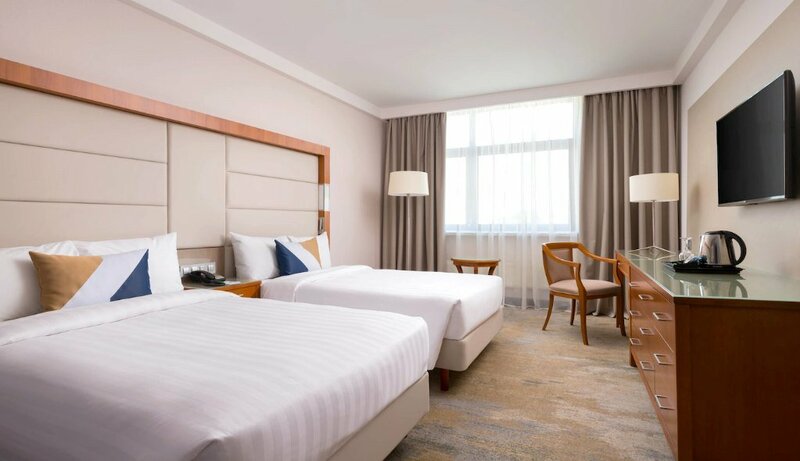 After the tour you are transferred to your hotel and have the afternoon and evening at leisure to continue exploring Moscow on your own. Alternatively, you may choose one of our carefully planned optional tours. Shortly you arrive at the world-famous treasure trove of the Russian fine art, the Tretyakov Gallery, where you have amazing time viewing the gems of its collection, including the famous masterpieces of Ivan Aivazovsky, Mikhail Vrubel and Viktor Vasnetsov. Then you have another quick subway ride to explore the most beautiful stations of Moscow Subway, which is known to be one of the most beautiful and efficient metro systems in the world. After the tour, you walk back to your hotel and have the rest of the day at leisure. In the evening, you meet your guide and driver to explore the illuminated capital. Your tour starts with a 2.5-hour boat ride (1st class boat tickets are included) along the Moskva river, during which you see the Moscow from a completely different perspective and have an opportunity to enjoy dinner and drinks with amazing views. Next you enjoy a wonderful panoramic city tour that offers a unique opportunity to see the shining of Kremlin towers, the illuminated St. Basil's Cathedral dominating Red Square, as well as the sparkle of the many streets and avenues of Moscow. See Moscow in absolutely different evening colors! After the tour, you are transferred to your hotel. In the morning after breakfast, you meet with our representative. You are taken on an exclusive cooking class to get the real taste of Russia. Together with a professional English-speaking chef you first go to a local market to buy fresh local produce. Then during the cooking class you learn the secrets of making a perfect Russian borscht, learn to make traditional pelmeni dumplings and thin blini pancakes. Following breakfast and check-out, your private driver meets you at the hotel lobby and transfers you to the Leningradsky train station for your departure to St. Petersburg. At the train station, you board the modern high-speed Sapsan train (Business class tickets are included) that takes you to Moscow in comfort and safety in just 4 hours. A meal onboard the train is included. Upon arrival, you are met by your private guide, who takes you on an amazing panoramic city tour around the most cherished gems of St. Petersburg with your private driver. You start the tour with a drive along the Nevsky Prospect, the Summer Garden, and after crossing the Neva River you have a chance to see the legendary Cruiser Aurora. Afterwards, you visit the Peter and Paul Fortress - a burial place of almost all the Russian emperors and empresses from Peter the Great to Nicholas II and his family. After a scenic drive along the University Embankment, you have a chance to see the Bronze Horseman, an equestrian statue of Peter the Great. A highlight of the tour is a guided tour of the magnificent St. Isaac's Cathedral, which is known to be the second tallest Orthodox church in the world. Before arriving to your hotel for check-in, you see some other major sights as the Mariinsky Theater, St. Nicholas Naval Cathedral and the Alexandrinsky Theatre. After check-in, you have the evening at leisure. Breakfast and meal on the train included. After breakfast you meet your guide at the hotel lobby and proceed with your private driver to the Imperial Porcelain Factory. The Imperial Porcelain Factory, founded in 1744 in Saint-Petersburg, is the first porcelain factory in Russia and the third oldest in Europe. The museum exhibition showcases porcelain pieces and art objects of the Imperial and Soviet times. Here you also take part in a workshop on porcelain painting under the guidance of experienced painters, after which you get to take home a hand-painted souvenir. Later this day, you have private guided tour of the Russian Vodka Museum and learn more about a significant part of Russia's culture and the favorite nation's distilled beverage. Enjoy the tour and get to know many fascinating facts about the history of vodka, anecdotes and traditions related to this drink. After the tour, you have a tasting of three different vodka shots accompanied by traditional Russian snacks. 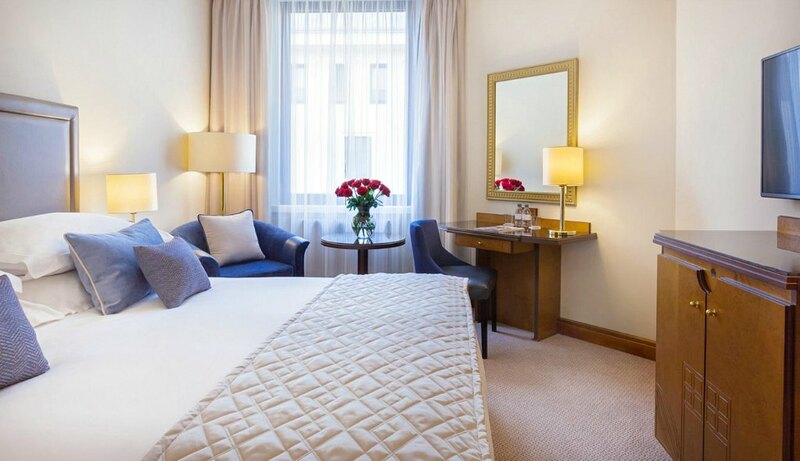 After the tour, you return to your hotel in St. Petersburg and have the rest of the day at leisure. After breakfast you meet your guide at the hotel lobby and head with your private driver to one of the gems of Russian palatial architecture - the brilliant Catherine's Palace which is located in Pushkin (Tsarskoye Selo) about an hour south from the center of St. Petersburg. This striking example of baroque architecture was once gifted by Peter the Great to his wife Catherine I. Later on it serviсed as summer residences to many Russian Emperors and empresses who contributed a lot into its development and further beautification. During the tour, we walk through the lavish parks and gardens of this outstanding palace and enjoy its gorgeous interiors, including the replica of the world-renowned Amber Room.After the tour, you return to your hotel in St. Petersburg and have the rest of the day free. After a short break for coffee, you explore the Palace Square, have a tour of the Church of the Savior on Spilled Blood, which stands where Russia's great emperor Alexander II was mortally wounded. You then walk to the Arts Square and explore its beautiful ensemble including the Mikhailovsky Theater. After the tour, you walk to your hotel and have the rest of the day free. Late in the evening, around midnight, your guide meets you at the hotel lobby and takes you on an exciting walk to marvel at the city center in absolutely different evening colors and witness the famous drawing bridges. Tonight you get to see the magically illuminated buildings as well as the opening of the most beautifully lit bridges in the very city center that takes place at around 1 a.m. every night from April to November. The highlight of the tour is a unique hydrofoil ride back to St. Petersburg. Upon your return to the city, your private driver transfers you to the hotel and you have the rest of the day at leisure. This is the final day of your amazing Moscow - St. Petersburg tour! After breakfast you check out from your hotel and meet your private driver who takes you to the airport for your flight back home. The Nevsky Prospekt is home to some of the most beautiful sites in the world. 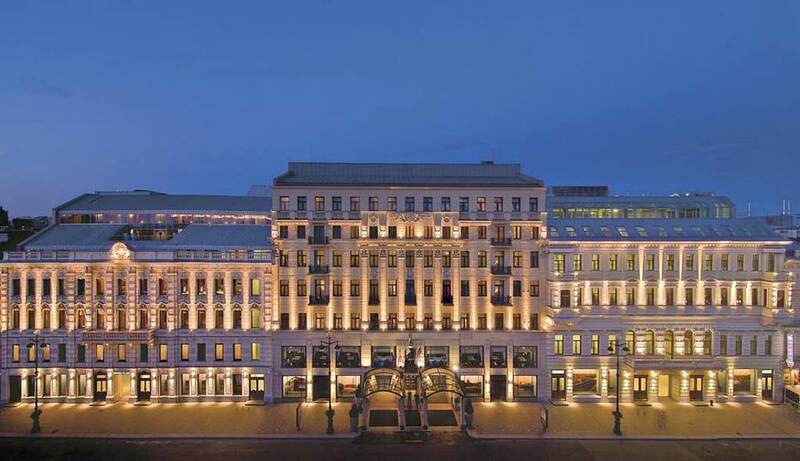 The Kazan Cathedral, the elegant Stroganov Palace, dozens of 18th-century churches with varying degrees of extravagance - and the unsurpassed hotel wonder, the five-star Grand Hotel Europe.